Spring is right around the corner – we can feel it! To help you get in the mood for the season of rebirth and new beginnings, we’ve put together a list of desserts that are light, colorful, and fun – just like Spring! 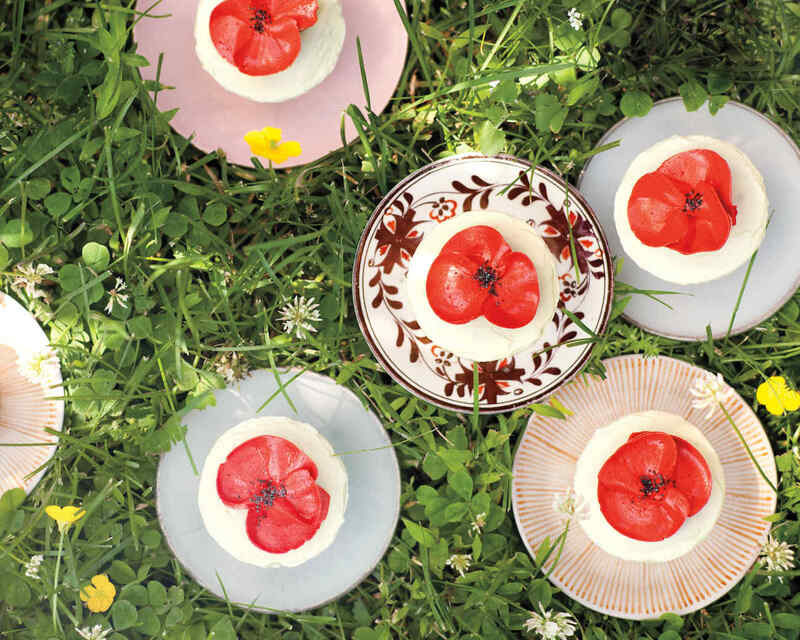 We love the buttercream poppy that goes on top of these cupcakes. They’re perfect for a bridal show, an Easter get-together, or just because! 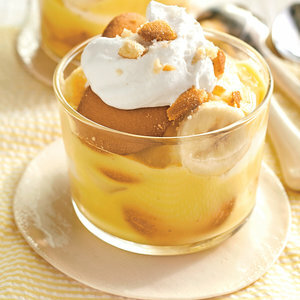 This Coconut Banana Pudding from My Recipes puts a delicious and healthy twist on the classic banana pudding. You can either serve it family-style or in individual dishes! 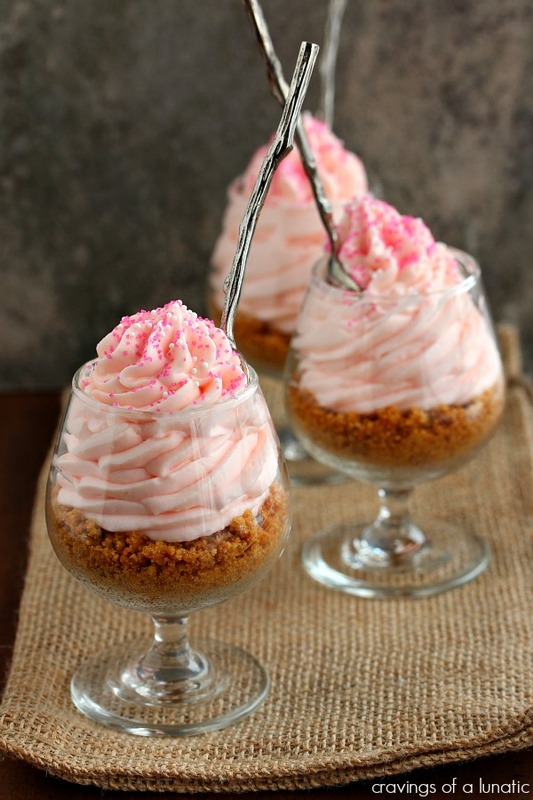 Not only are these Pink Lemonade Cheesecake Parfaits from Cravings of a Lunatic super easy to make, they’re also really cute! We love the addition of sprinkles on the top. Naked cakes are a huge trend right now! 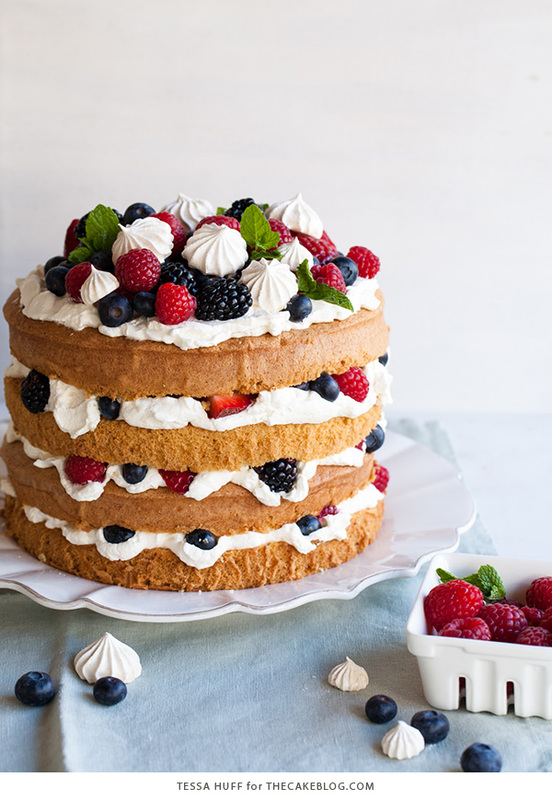 We’re loving this Eaton Mess Cake from The Cake Blog, which features fresh berries and homemade whipped cream (because homemade whipped cream is obviously the best). Cherries are one of our favorite fruits, and it seems like they’re under-represented in desserts! That’s why we’re excited about making these Rustic Cherry Tarts from Chocolate with Grace. 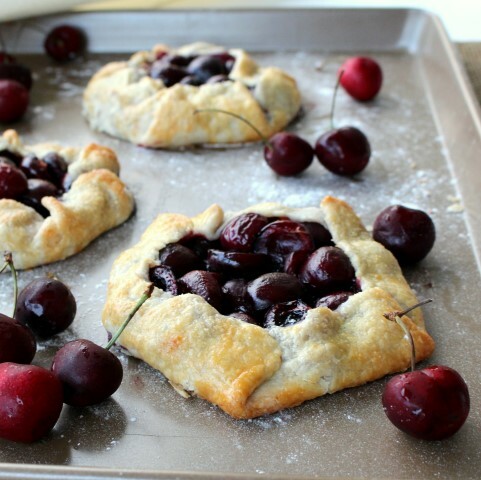 The flaky crust perfectly contrasts with the juicy cherries. 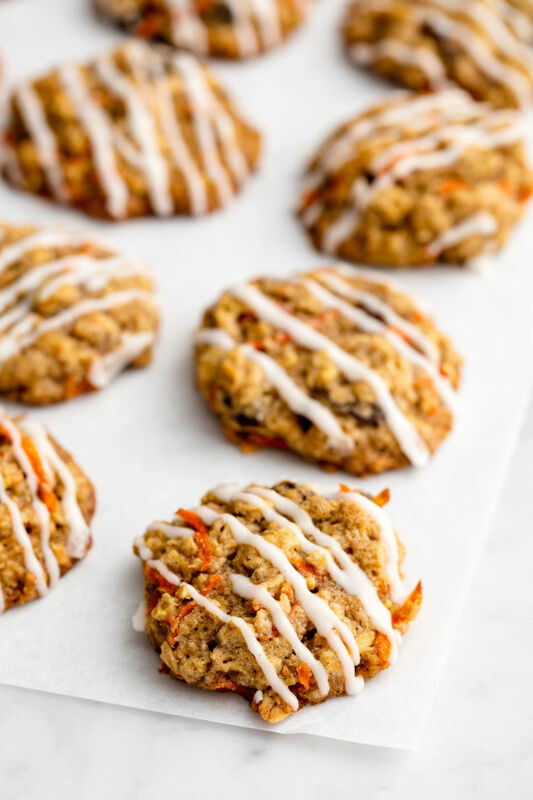 We’ve never tried this before, but we can’t wait to try these Carrot Cake Cookies from Delish. The frosting drizzle is actually a cream cheese glaze! 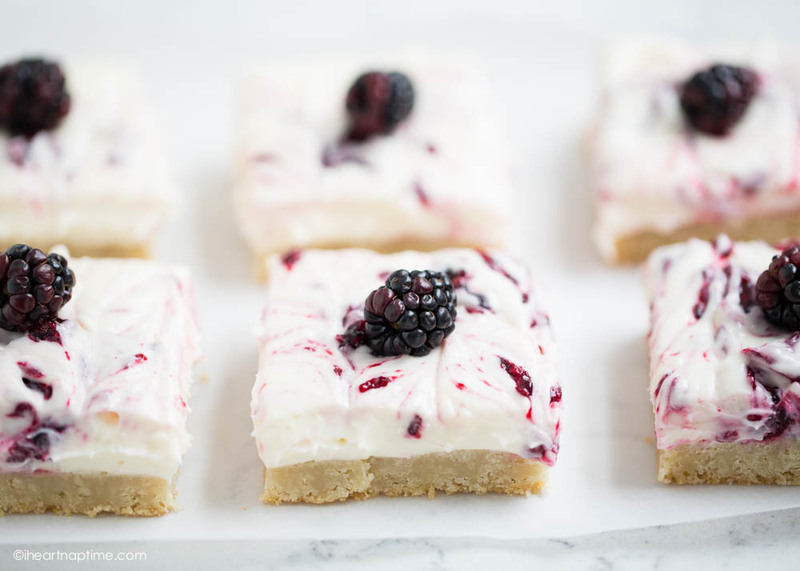 How pretty are these Blackberry Cheesecake Bars from I Heart Naptime? They even have a sugar cookie crust! Although the traditional topping for pound cake is usually strawberries and whipped cream, we love the idea of putting a rhubarb compote on top! 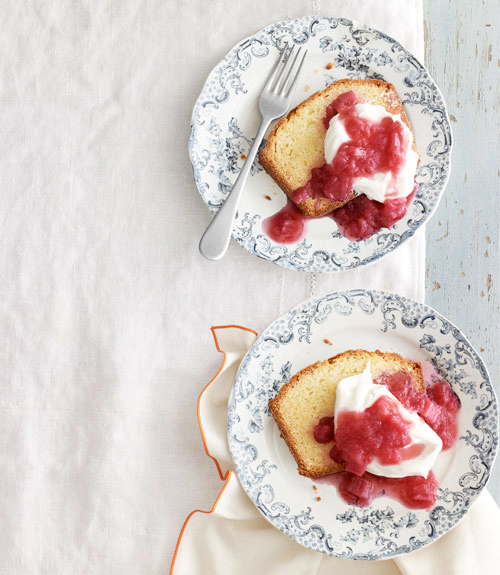 Try this recipe for Sour Cream Vanilla Pound Cake with Rhubarb Compote from Country Living. 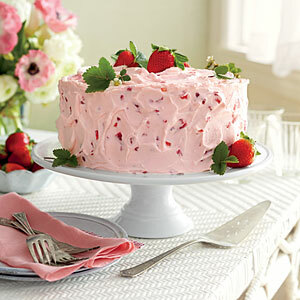 This oh-so-cute Strawberry Lemonade Layer Cake from My Recipes uses shortening, making it the perfect decadent treat! What says spring more than daisies? 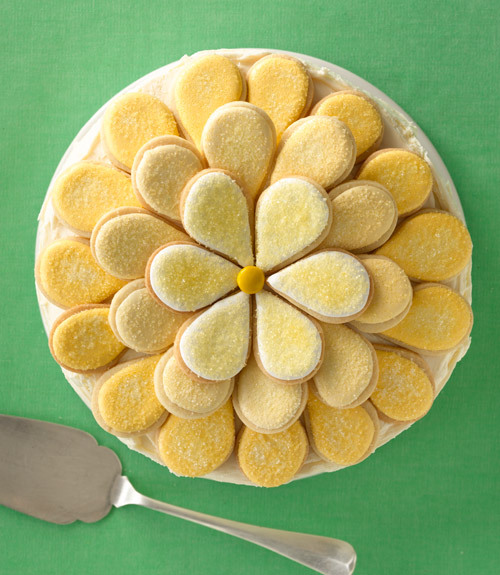 Make this Daisy Cake from Woman’s Day, which uses cream cheese frosting and almond extract! Happy baking, and happy Spring! 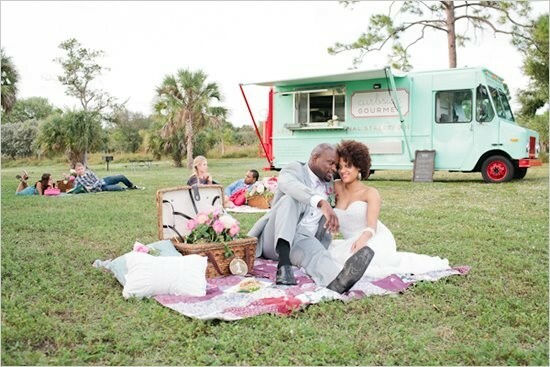 One of our favorite new trends in catering is offering menus inspired by the easy-to-eat dishes of STREET FOOD! Artisan street food is a great way to bring variety and ethnic fusion to a meal, and to make your menus stand out among your competitors. 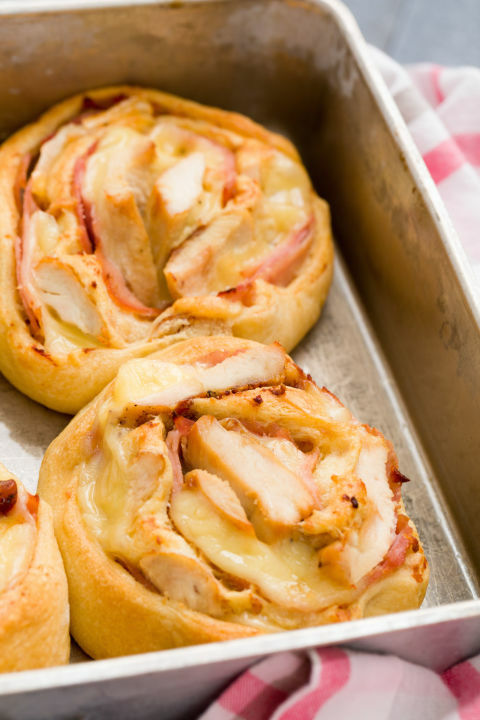 Offering street food-style menus can also help your clients – instead of contracting with several food trucks for the evening, they can get all the dishes they need through you. 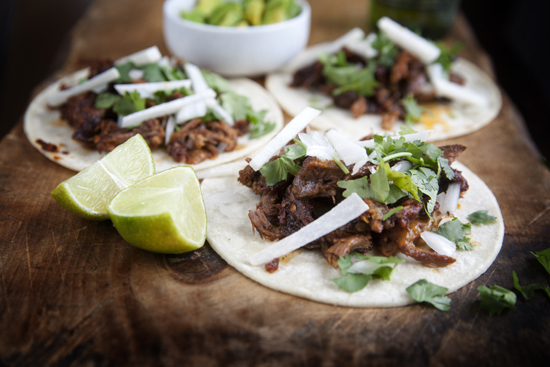 A street food-style menu is perfect for almost any type of event – corporate, wedding, fundraiser, you name it! 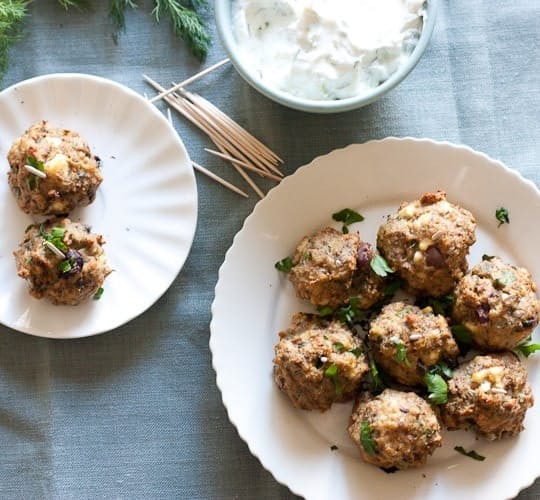 We’ve put together some station menu ideas inspired by recipes from all around the world. 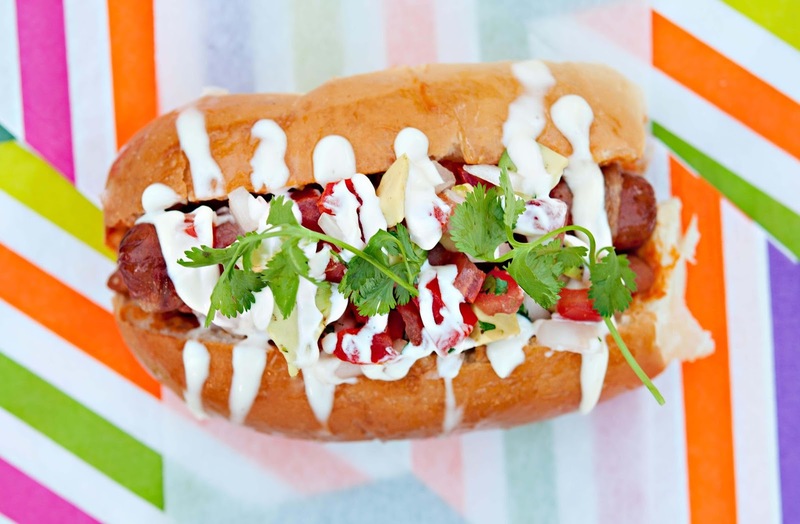 The main thing with street-food inspired catering is to make it easy and FUN! 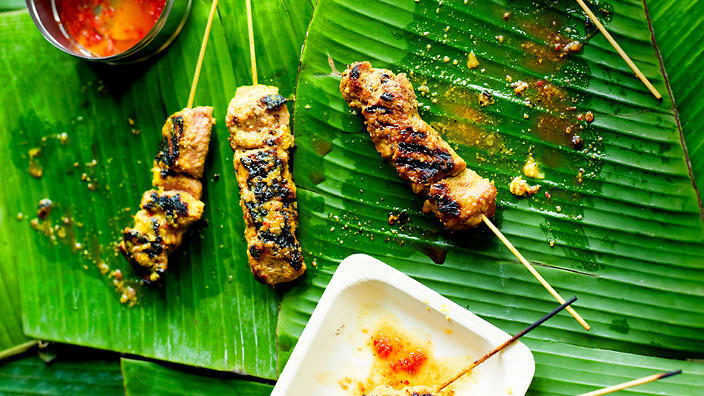 Let us know some of your street food recipes!